Think Locally * Act Globally #OccupyVirtually! #Blog4TheCure! and if YOUR Valentine didn’t get you a HEPA filter, get a new one! Remember Remember: WE ARE THE MEDIA NOW. Carry on. Share it with your smart friends and others you may care about. FB thought police are now inviting me to ‘boost the post’ because it’s trending as it mentions “United States” and the fine print threatens all sort of ‘consequences’ for breaking any rules… then they said the post image has too much text! Sounds a bit like ‘attempted entrapment’?!! Well, that saves $5, huh? ….. D’oh! Blogging soon, but wanted y’all to see this link and invite you to share it here and there. Be aware of the rads the people in America are being exposed to…. Beyond Fukushima…. and… well, you know, WE ARE THE MEDIA NOW… by any and every means necessary… #OccupyVirtually! It’s dangerous out there! There’s more all over my blogs, posts, pages and other social media sites….Thanks. THANK YOU! 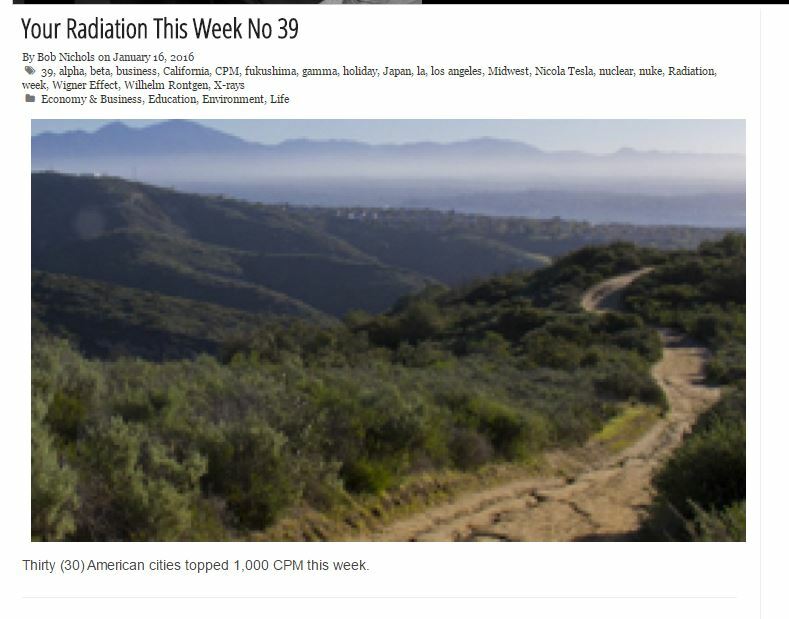 BTW, last April, Friends of Lucy Occupy caused the first issue of YOUR RADIATION THIS WEEK to fly with 17,470 Reads …. After that, not so many. You should see what google does with the searches on YOUR RADIATION THIS WEEK! They are all over the place and seem to be regularly sanitized. Imagine that! 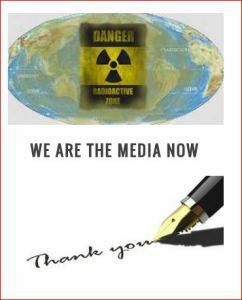 Here’s the first one: http://www.veteranstoday.com/…/04/03/your-radiation-this-w…/ Note: “How to Fix the radiation?” “People in Nuclear Countries Don’t Breed Well” “For us, the Rad lasts effectively, forever.” Here’s the entire series by Bob Nichols, Veterans Today… and it includes more on #Fukushima than you may have been able to grasp when first posted, since 2011. OTHER VETERANS TODAY ARTICLES BY BOB NICHOLS …..
MORE ON FUKUSHIMA SINCE MARCH 2011…. On ‘sanitization’ and censorship measures, Google takes the cake on Fukushima! Back in 2012, there were more than 62 million search results for FUKUSHIMA == this morning, it was a mere 32,700,000. Wow, that sure promotes the pro-nuker position that ‘there is no immediate danger’ huh? BOOST THIS POST!?! YOUR RADIATION THIS WEEK !!! You’re no longer restricted from joining and posting to groups. RESTRICTION OFF The restriction has lifted Nov 22, 2015 You’re no longer restricted from joining and posting to groups. Ask About YOUR RADIATION THIS WEEK and share with your Smart Friends! WE ARE THE MEDIA NOW. #OccupyVirtually! #Survive! Thank you! Have a Nice Day! SURVIVE! OTHER VETERANS TODAY ARTICLES BY BOB NICHOLS…..